Actor George Clooney is in love and not afraid to show it to new fiancée Amal Alamuddin after he buys her a $750,000, seven carat diamond engagement ring. 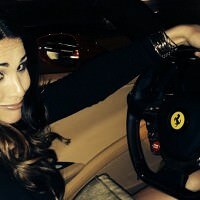 The notoriously commitment phobic Hollywood heavyweight shocked fans and the media last month when news leaked that he had proposed to girlfriend Alamuddin. With this one act George gave hope to millions of women around the world that one day their commitment shy fellas may just give in and get down on one knee too. 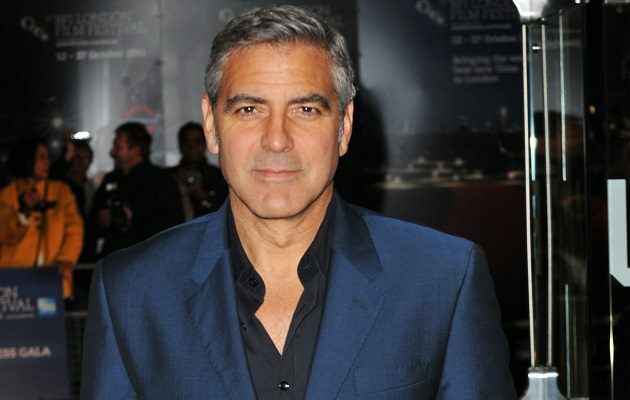 The actor had been married once before in the late 80’s but has been known around Hollywood as a bit of a serial dater. Although he has had several high profile, long term relationships over the past few decades, each relationship seemed to end once the ladies realized George wasn’t going to give in and put a ring on it. So the fact that after just a few months of dating Alamuddin Clooney has popped the question makes this engagement is a very big deal in Hollywood. Now George isn’t afraid to show his love for his new fiancée in a big way. The actor pulled out all the stops when choosing the perfect ring for his bride to be. He choose a stunning emerald cut diamond, set in platinum that weighs in at a hefty seven carats for Alamuddin to show off around town. The gorgeous lady and her incredible new rock haven’t been spotted yet, but fans can bet that once they are, there will be a media frenzy. 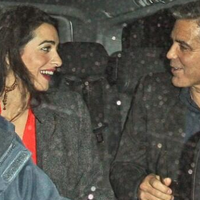 The showy ring is just another way that Clooney is surprising friends and fans alike with this new found spontaneity. The star also apparently broke with his usual flashy and extravagant romantic ways when he popped the big question to Amal as he apparently asked her to be his wife while the pair enjoyed a nice, home cooked meal. We are excited to see what’s next for this pair of crazy love birds and you can bet we’ll be on the lookout for the first glimpse of that amazingly expensive diamond ring too.